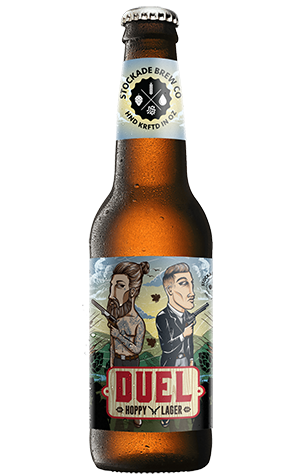 The duel for which this beer takes its name is an Old World versus New World clash whereby they’ve essentially taken a classic European lager and thrown loads more hops of a modern variety at it. The name is also slightly misleading for it suggests these two worlds are battling when in fact they’re doing a pretty good job of working in harmony. The pilsner and Vienna malts give the beer a nice bready character while the dry hopping with Summer and Ella hop varieties lift the aroma and work alongside a gentle bitterness. To get that extra oomph from your hoppy duel, it pays to gets this beer as fresh as possible.